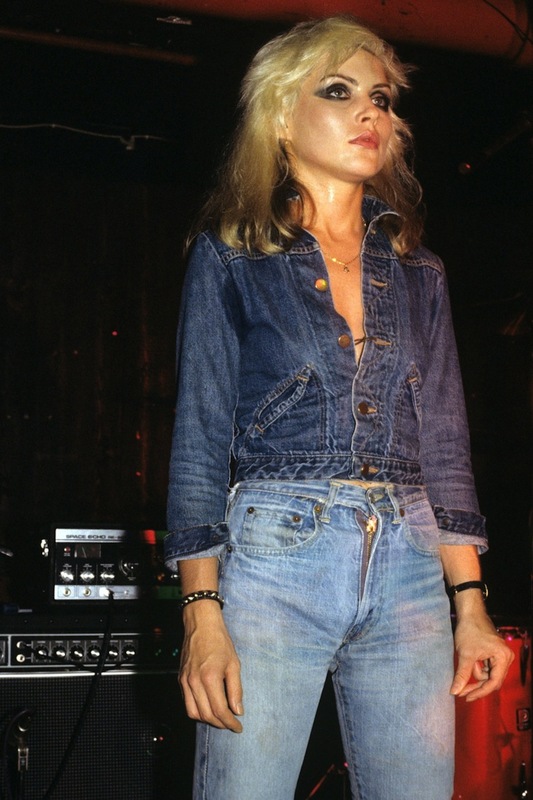 Style icon and punk legend Debbie Harry of Blondie is seen here in a Canadian Tuxedo consisting of high-waisted jeans and a denim jacket in 1978. This entry was posted on Sunday, December 4th, 2011 at 12:34 pm	and tagged with Blondie, Canadian Tuxedo, Debbie Harry, Denim, double denim, Fashion, Jeans, Punk Rock, Vintage and posted in In The Wild, Music. You can follow any responses to this entry through the RSS 2.0 feed.